At The Pet Doctor, we utilize our In-house Laboratory every day to help diagnose our patients. Often, routine bloodwork can show us the earliest signs of illness, often before your pet even seems to be sick. Testing gives us immediate insights that we might not otherwise discover. Treating your pet early can help with a better outcome and lower treatment costs, too. If a pet is showing signs of illness, quicker diagnosis of problems leads to a quicker implementation of treatment. This gives your pet a better chance at getting over an illness quickly, with fewer complications. For most pets, the veterinarians at The Pet Doctor will perform a complete blood count (CBC) and a complete blood chemistry panel. The CBC tells us if there is infection, inflammation or anemia. It can help us to diagnose some types of autoimmune disease and can sometimes tell us the stage of an illness. The chemistry panel and electrolytes tell us if your pet’s liver, kidneys and pancreas are functioning normally. It checks a blood glucose level and measures protein levels in the blood. A urinalysis tells us if there’s infection or inflammation in the urinary tract—a common problem for pets of all ages. A Thyroid hormone level provides information about your pet’s thyroid gland function. There are some less common tests that we have to send to an outside lab, but the more common tests are run in our hospital, using the latest and best equipment available. Immediate results allow immediate treatment. Our laboratory equipment takes only short time to get results and can save lives and costs in the long run. With our in-house Laboratory, we can discuss the results right away. If results are abnormal and we need to run more tests, there will be fewer trips back and forth and less time wasted prior to treatment. If the results are normal, We can rule out certain diseases right away so you can worry less. Quicker results are better for you AND your pet. At The Pet Doctor, we feel that it is very important to do pre-anesthetic bloodwork screening prior to any anesthetic procedure. We perform this blood work the morning of your pet’s surgery, preventative dental scaling or other procedure that requires anesthesia. Pre-Anesthetic bloodwork helps us to know that your pet will be safe under anesthesia. There is always an inherent risk with anesthesia and knowing that the pet’s body is functioning normally is one way that we do our best to keep them safe. If we have concerns after we see the test results, we can do further diagnostic testing if needed. Sometimes we can reschedule the surgery for a day when your pet feels better. In some cases, the anesthesia used can be changed to be safer for your pet. Doing the diagnostic testing the same day as the procedure means your pet has to skip breakfast only once and you need to make only one trip to our hospital. We know that’s easier for you AND your pet. Radiographs, or X-rays, are an important diagnostic tool in veterinary medicine. Many of us have had radiographs at our own doctor’s office or even in the emergency room. In veterinary medicine, radiographs are commonly used to look for the presence of and severity of a bone break, to look for potential intestinal problems and obstructions, to evaluate the size and shape of organs, so look for possible abnormalities such as bladder stones or abdominal tumors and even to try to determine the number of puppies or kittens in a pregnancy. We are also able to use radiography to do special procedures. One special procedure that we use regularly is the barium series. Barium is a radiopaque (shows up solid on radiographs)liquid that is quite visible when viewed on an X-ray. Veterinary patients commonly ingest foreign objects, such as toys, bones, etc. These can occasionally cause an intestinal obstruction and can become life-threatening. We use the barium series to help us by watching the barium move through the pet’s intestinal tract. If there is an obstruction, the barium becomes trapped and we can locate the problem. Another special procedure allows us to watch a special liquid travel through the bladder and urinary tract. We can evaluate the system for any abnormalities. At The Pet Doctor, we regularly send our radiographs for evaluation and interpretation by a board-certified veterinary radiologist. This allows us to have a specialist consult on our cases and help us to make sure that we are providing the very best veterinary care. We can also refer patients to a veterinary radiologist for more advanced diagnostics, such as Ultrasound, MRI, and CT scans. These less common procedures are occasionally needed for a diagnosis in some types of medical conditions. Endoscopy is a procedure that allows us to look at the gastrointestinal tract in a non-invasive way. Endoscopy is done using a long, flexible tube with a camera at the tip. Inside the tube is a channel that allows the veterinarian to use a variety of diagnostic instruments for examination and biopsy. Endoscopy gives us an opportunity to evaluate the lining of the esophagus, stomach, and small intestine. Small biopsies of these areas can be taken and then evaluated by a pathology laboratory to help with the diagnosis of an intestinal illness. The endoscope can also be utilized to help us to perform minimally invasive surgery. One exciting example of this is an endoscopically assisted gastropexy. This surgery is traditionally done as a preventative for gastric dilatation and volvulus (GDV or “Bloat”) in large breed dogs. This is a life-saving surgery in breeds that are predisposed to bloat, but the traditional surgery is painful and leaves a large abdominal incision. Using the endoscope, we can find the correct location on the stomach and then bring it to the body wall for suturing. The incision used in the endoscopic-assisted surgery is significantly smaller than the traditional surgery. This leads to less pain post surgery and a quicker healing time. How many of our dogs have eaten something they were not supposed to eat? Many dogs are notorious for eating anything that is not nailed down. The endoscope has saved many dogs and cats from long recoveries due to a more invasive exploratory surgery. Using the endoscope, we are sometimes able to remove the odd things that dogs and cats eat. We have removed balls, coins, clothing, and even a $100 bill. In order for the endoscope to be effective on foreign material, the material must be only in the stomach or esophagus, must be large enough to be grasped and no portion can go into the intestines. In the cases where endoscopy is not successful, a full exploratory surgery is needed. When the endoscopic procedure is successful, it usually has many benefits, including quicker recoveries and return to normal eating, no sutures to be removed, and little to no pain. 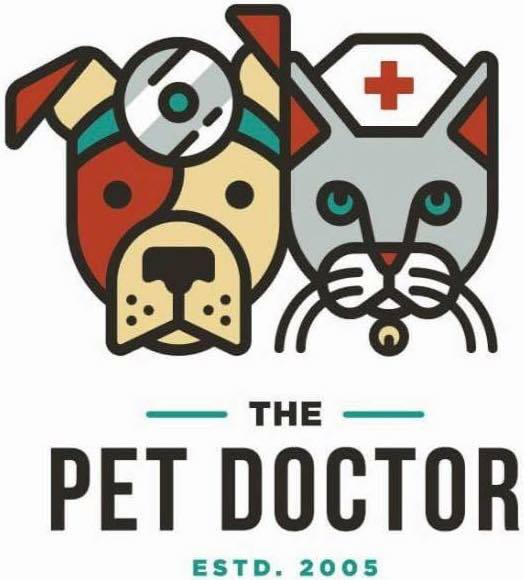 At The Pet Doctor, we offer referral to board-certified veterinary specialists when indicated. Ultrasounds are a non-invasive diagnostic tool that can be used to help diagnose problems with your pet. Ultrasounds are performed by a veterinary radiologist and can be performed at our hospital at your convenience or we can refer you to a specialty hospital if necessary. Ultrasound uses high-frequency sound waves to produce visual images of organs, tissue and blood flow in the body to help with diagnosis. An ultrasound probe transmits the sound waves to an area of the body. Information from the sound waves are used to create an image of the area that can be evaluated. Ultrasounds are used to evaluate all abdominal organs. An ultrasound is also used to measure heart anatomy and function.